GRASMERE VILLAGE, ENGLISH LAKE DISTRICT Photos and Facts from Grasmere Village. 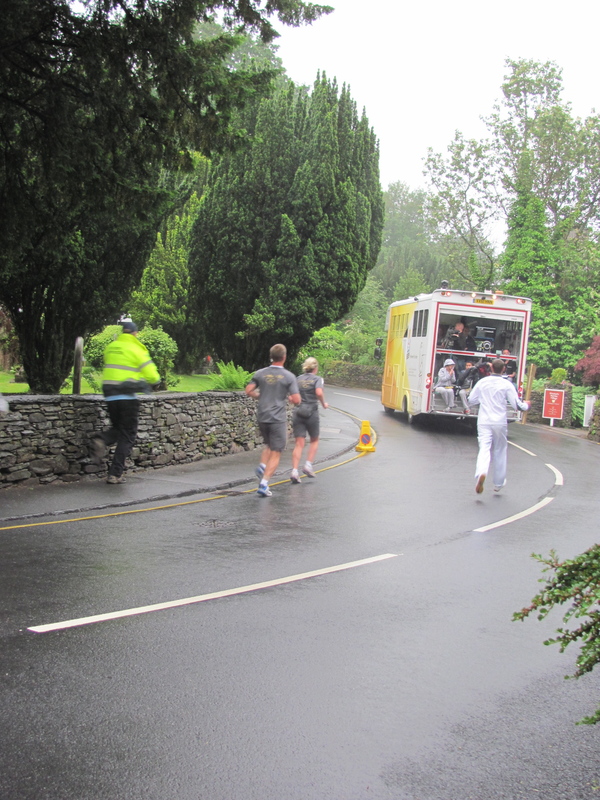 Who would have thought that the Olympic Torch would pass through the centre of Grasmere. The day before had been the most beautiful sunny day, however we woke to torrential rain. 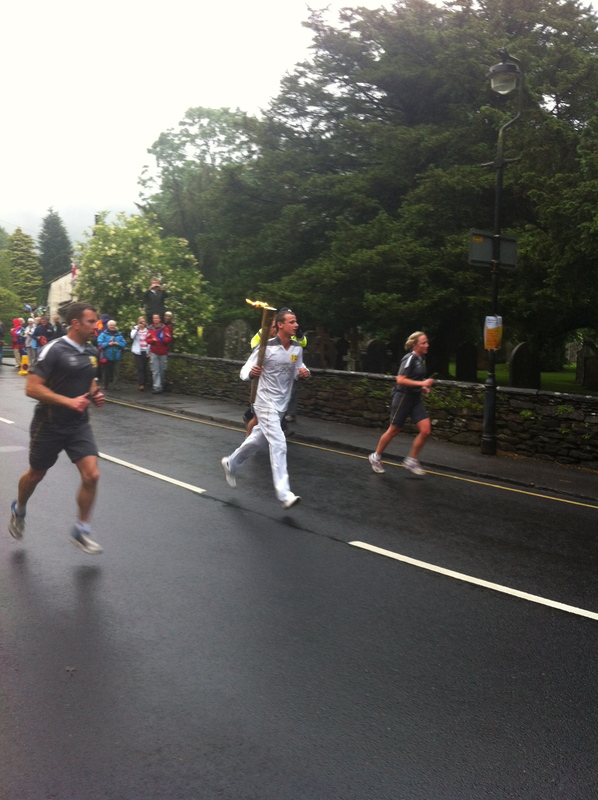 But all was not lost, although it was still drizzling when the torch arrived it had eased off a lot. The torch arrived just as everyone was locking up shop for the day, we knew it had arrived by the sound of drumming coming from the park. 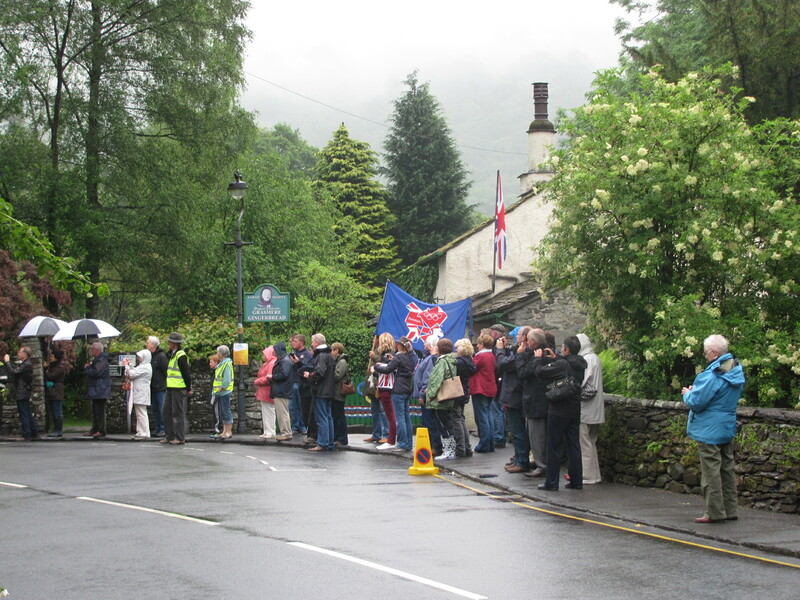 Grasmere School were performing and apparently gave the torch a rousing welcome. We all dashed on to the pavement to watch. 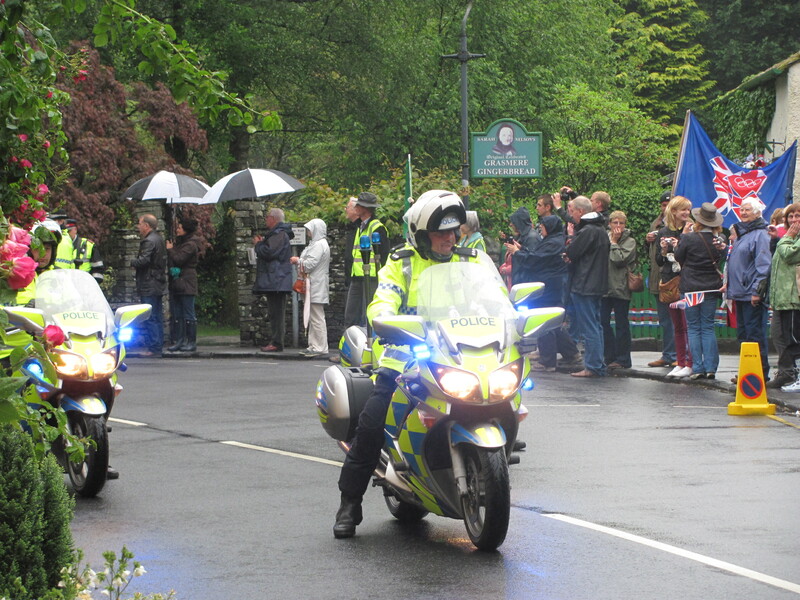 A rather strange parade of vehicles for the streets of Grasmere then appeared. 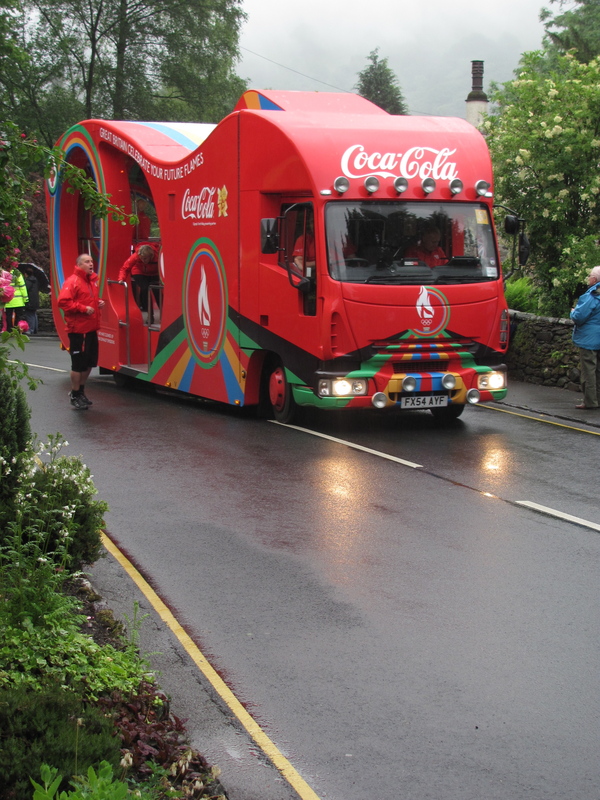 First came the CocaCola one, with music blaring. Heavens only knows what the Herdwick sheep in the fields were thinking! 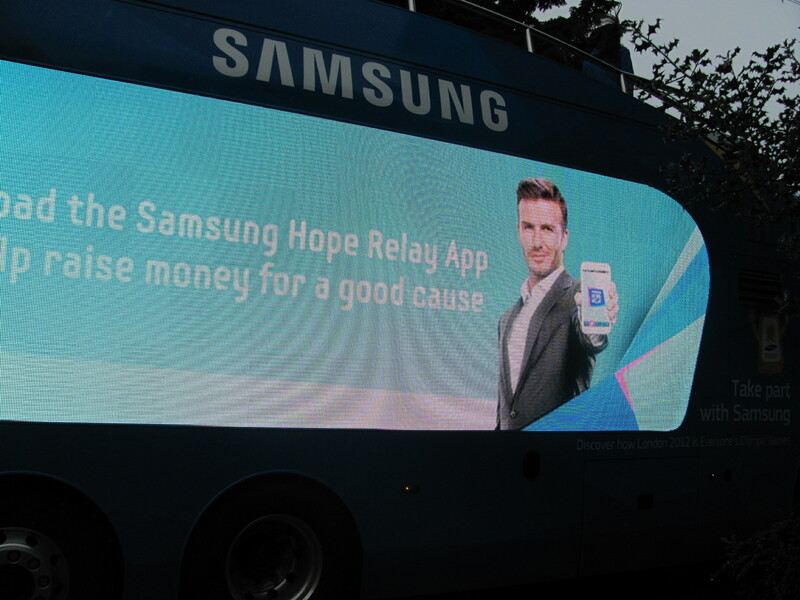 Next up we came face to face with David Beckham, not something I thought I would ever say in this blog! Lloyds Bank was next. 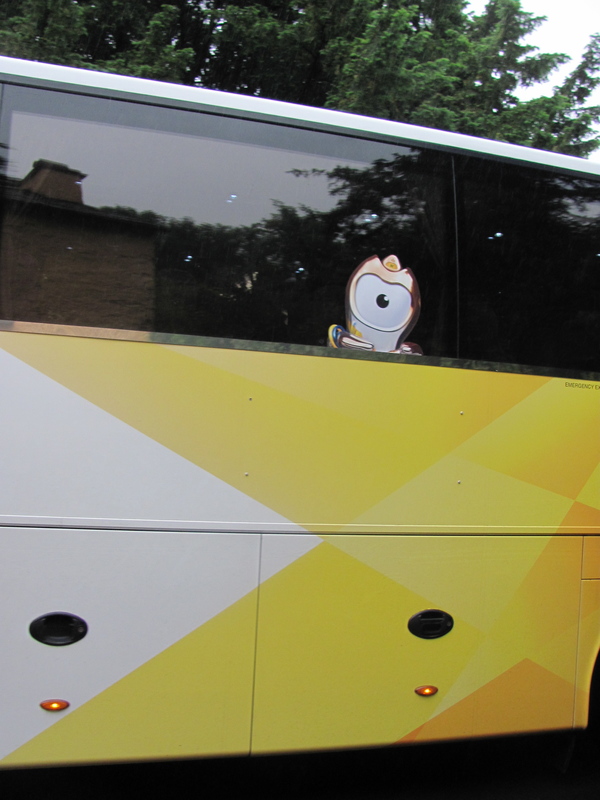 Presumably these are all the sponsors of the Olympics. 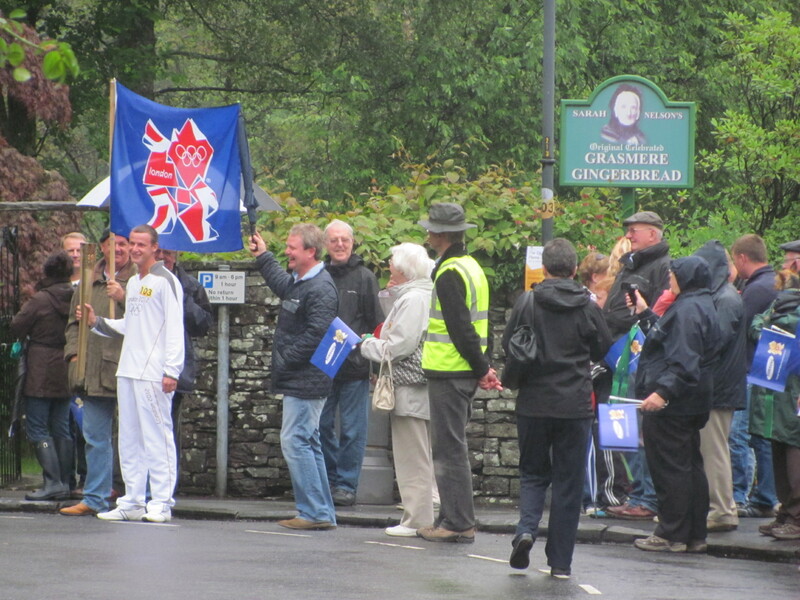 It was a shame that none of the torch bearers were actually from Grasmere, would have been lovely to see one of our own carrying the flame. However I have to say the bearer that we saw was very nice and chatty to everyone waiting. and was past before we knew it. 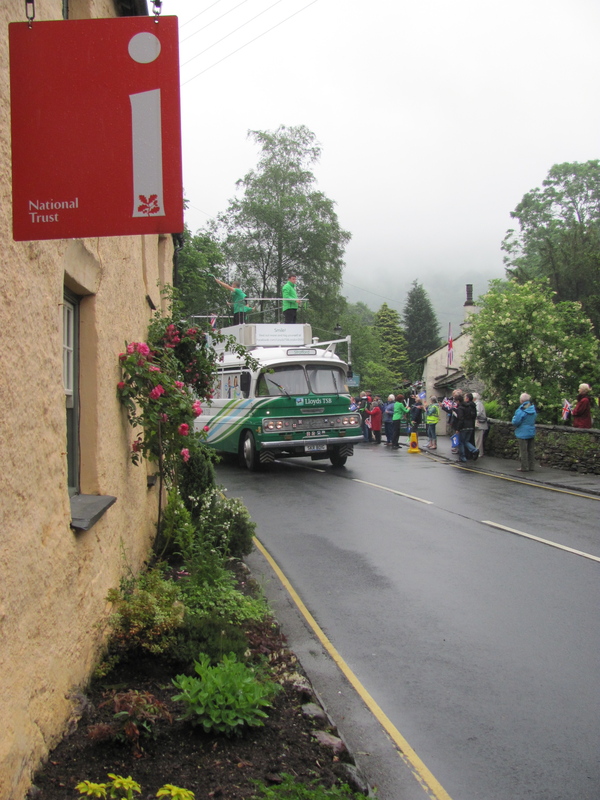 Everyone remarked how brilliant it was that the flame had actually come through the centre of Grasmere and not just along the main road. 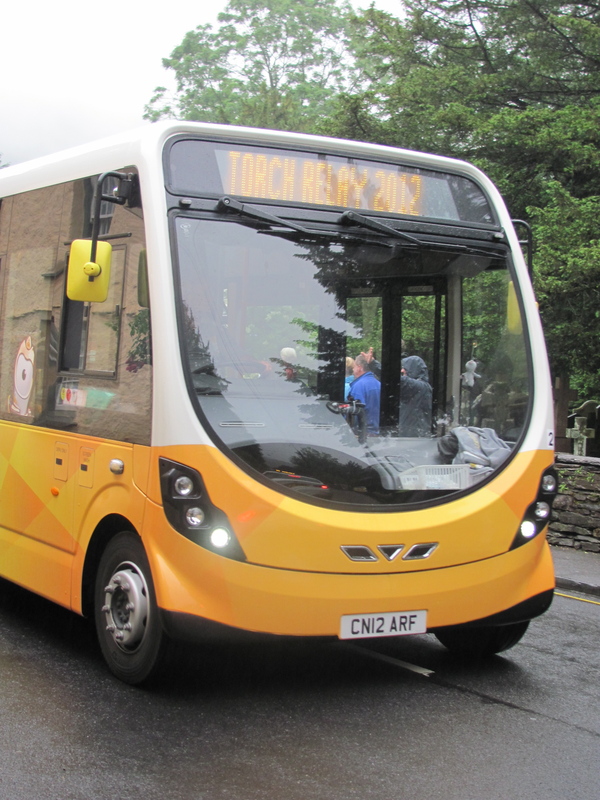 After another handover the flame proceeded to Ambleside by open top bus, then by Lake steamer to Bowness on Windermere for an evening of entertainment. 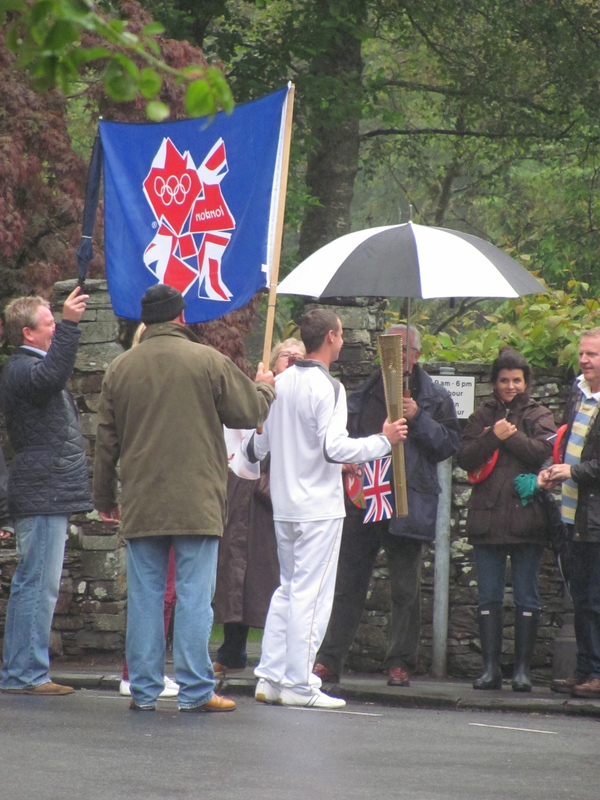 The rain did little to dampen spirits and it was great to feel part of the London 2012 Olympics in this little part of the British Isles.